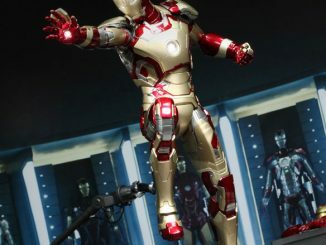 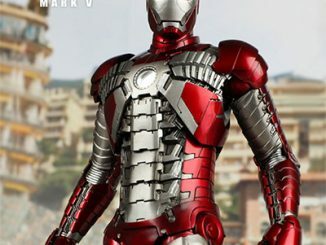 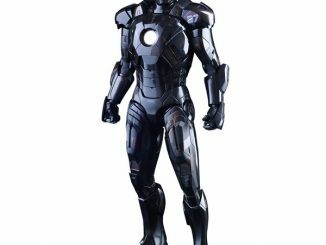 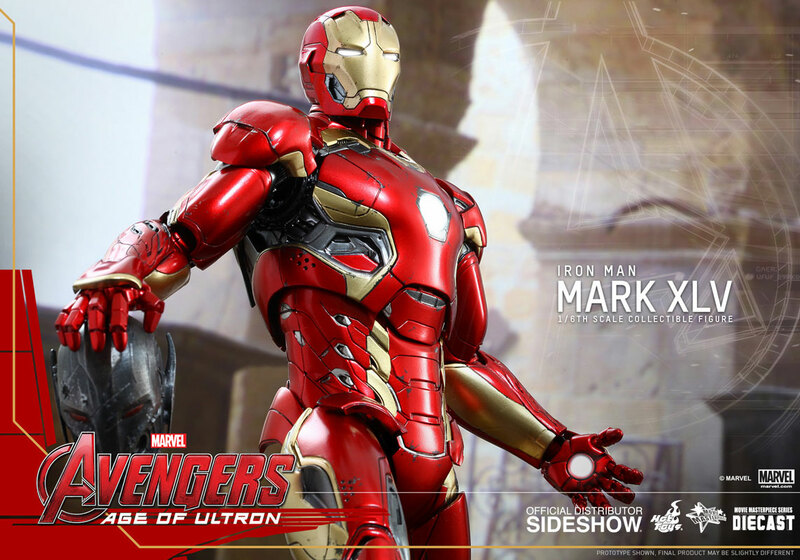 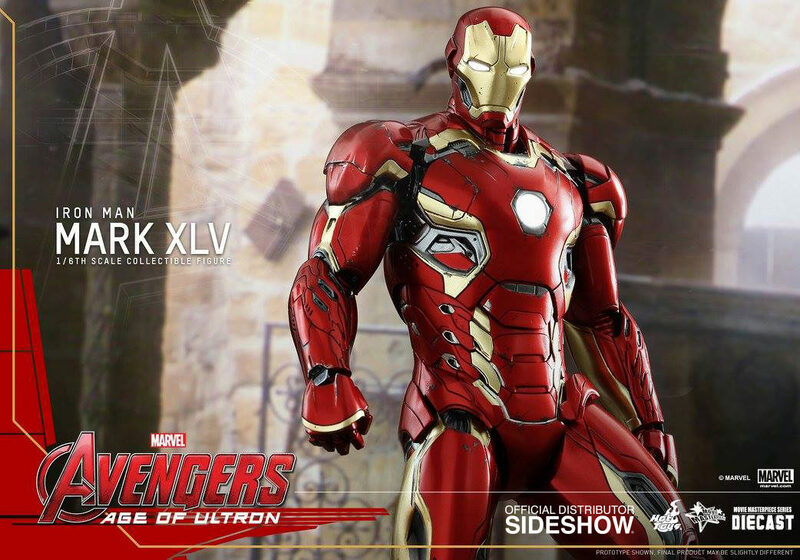 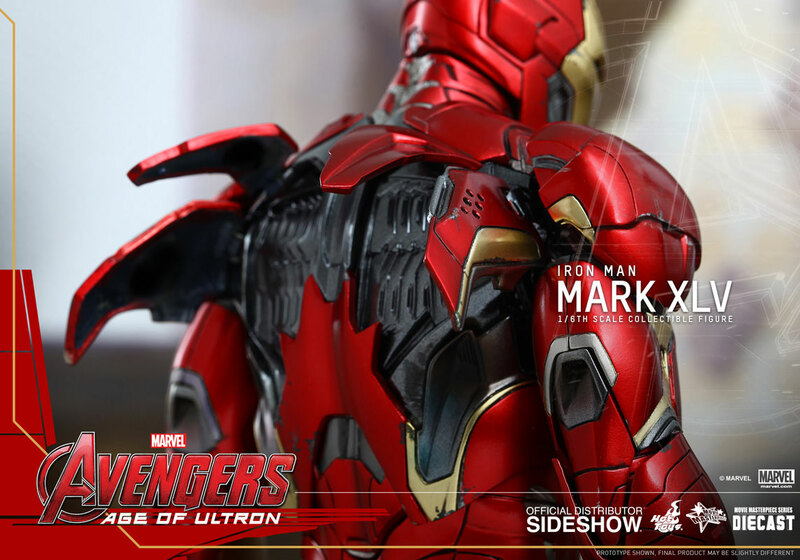 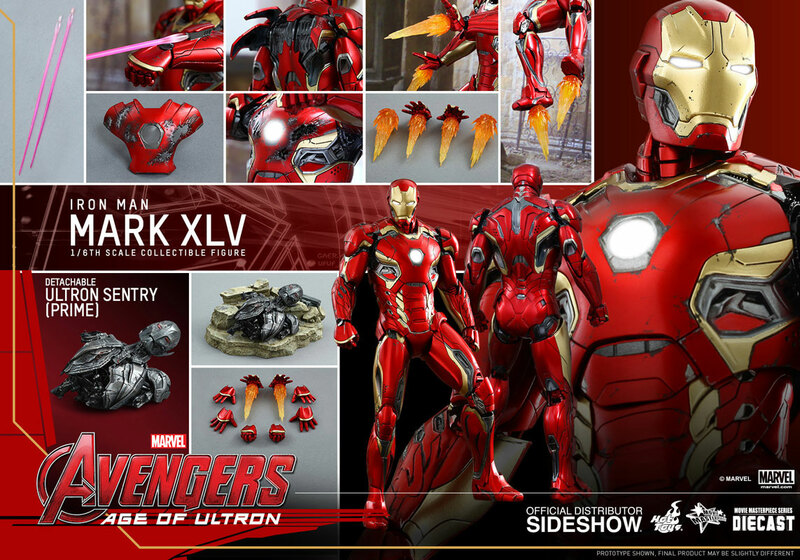 Tony Stark is wearing his new Ultron-stomping armor with the Iron Man Mark XLV Sixth-Scale Figure. 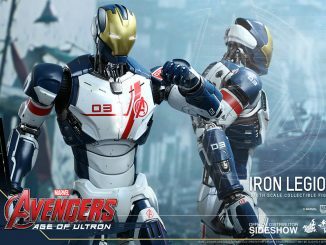 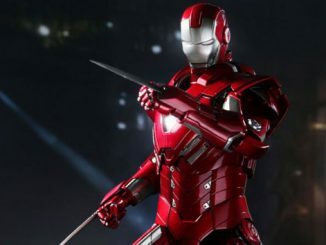 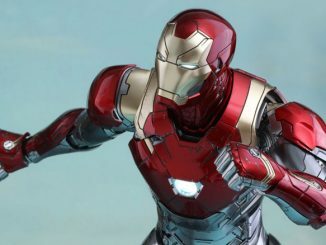 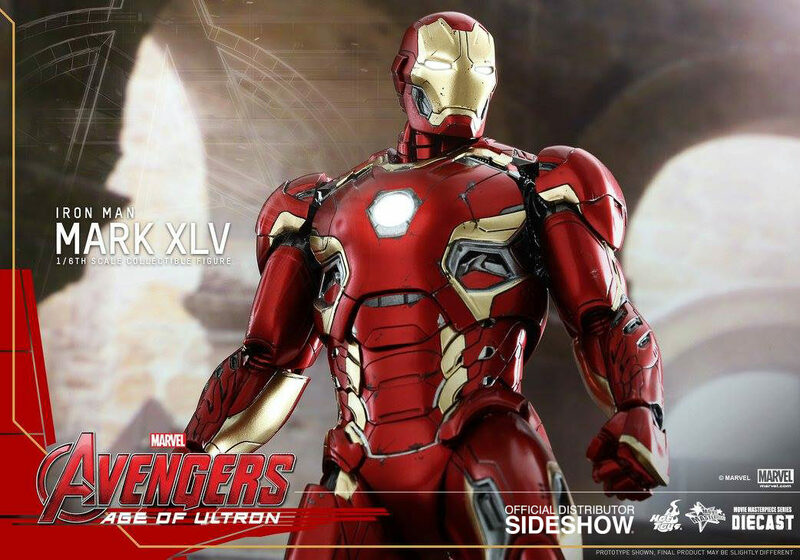 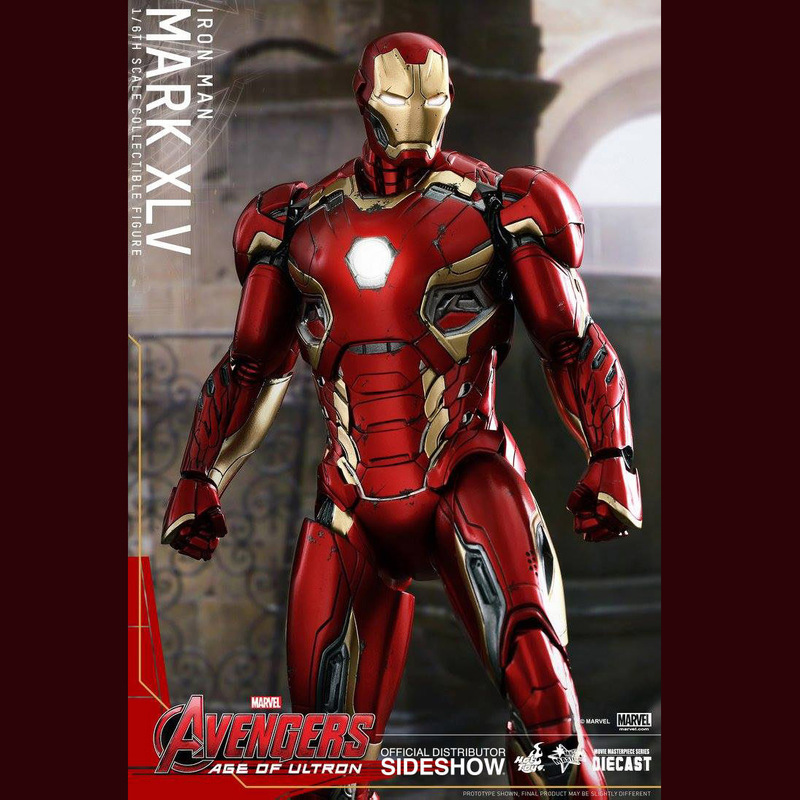 Iron Man has invented a lot of armor through the various Marvel movies and Avengers: Age of Ultron is no different, with the billionaire creator unveiling the Mark XLV. 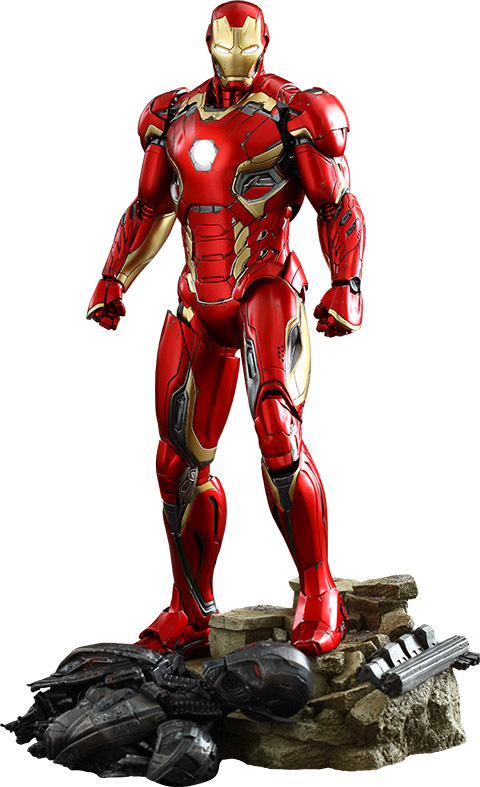 Standing approximately 12-inches-tall, the figure comes with a wide variety of accessories, including interchangeable forearm laser weapons, four pairs of interchangeable palms, interchangeable battle damaged chest armor, and fully deployed air flaps on the back of the armor. 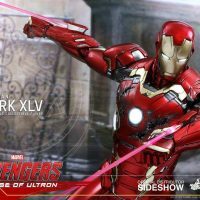 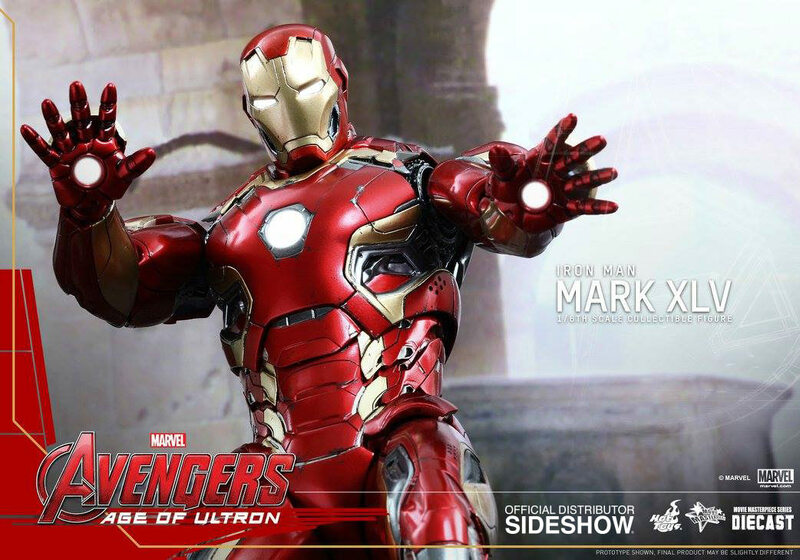 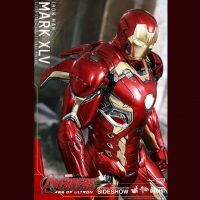 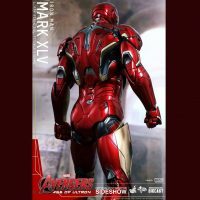 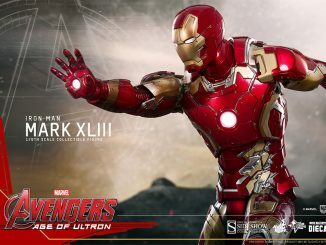 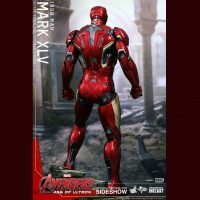 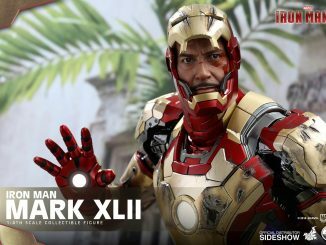 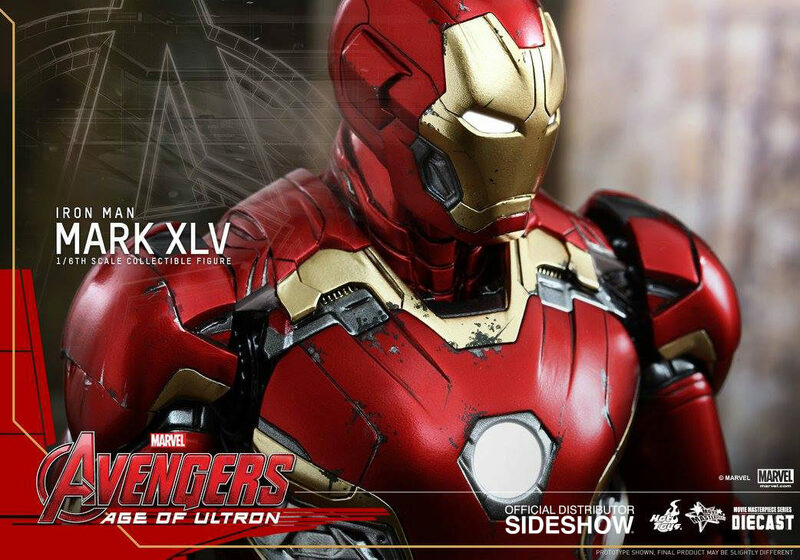 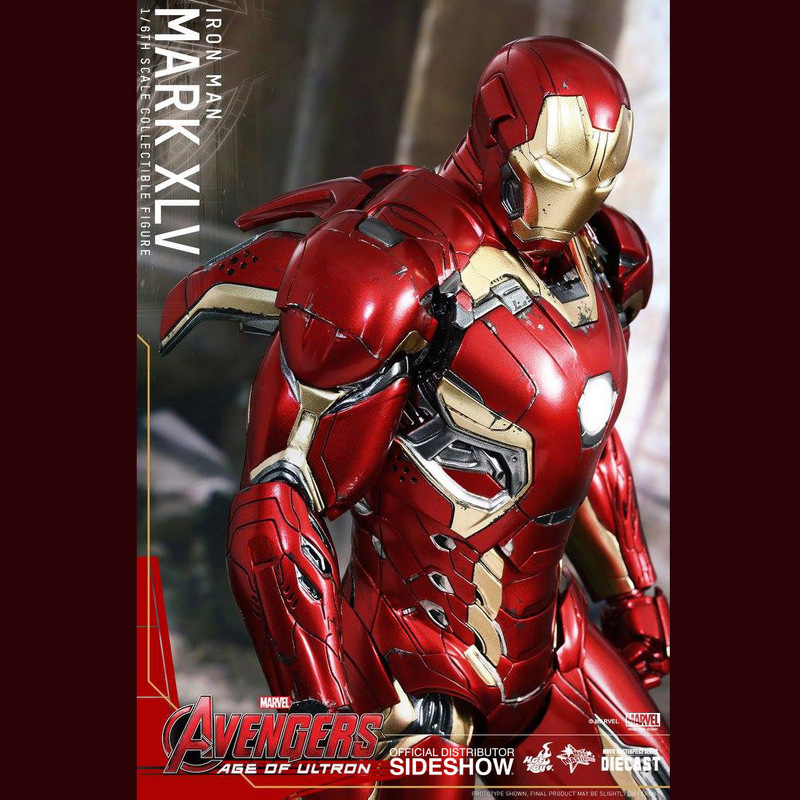 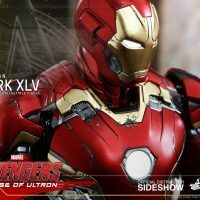 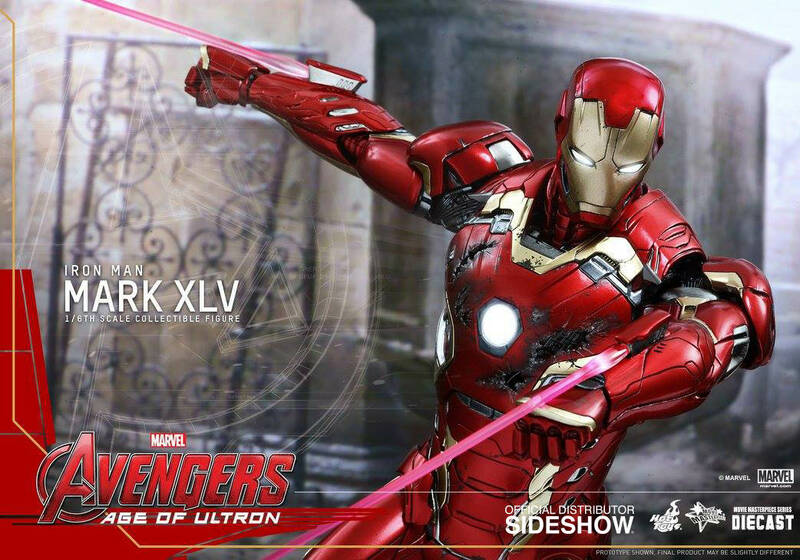 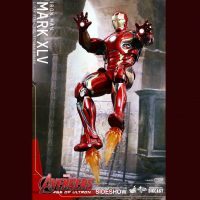 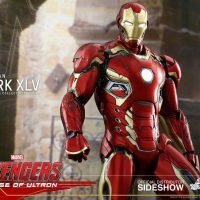 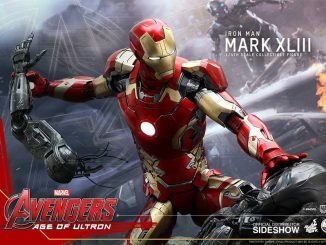 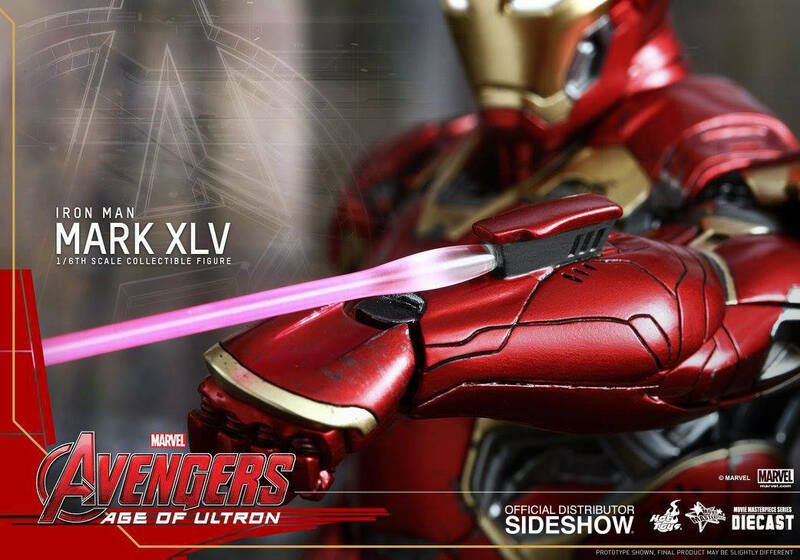 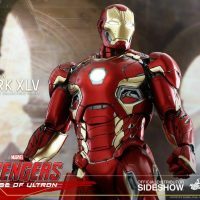 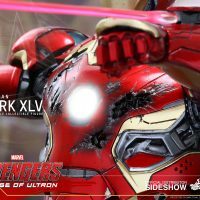 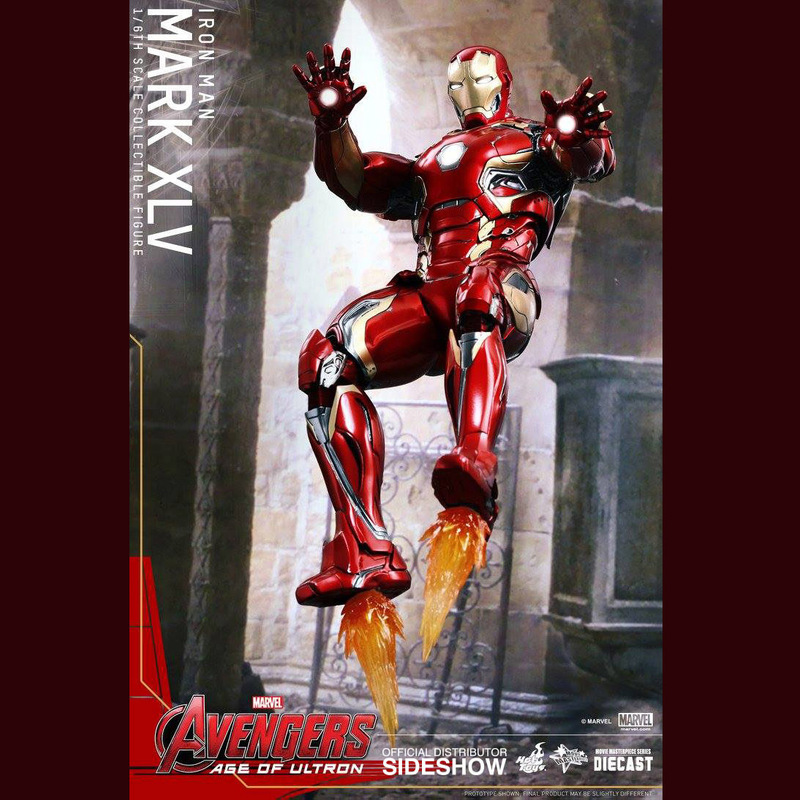 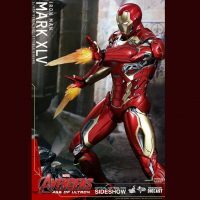 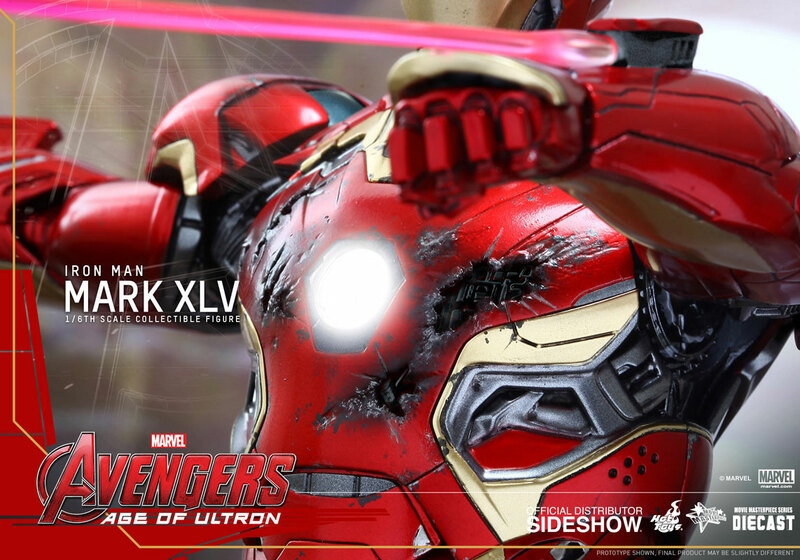 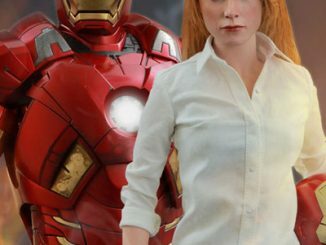 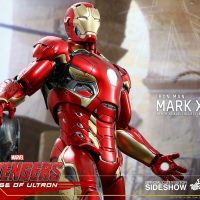 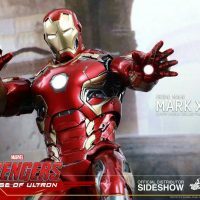 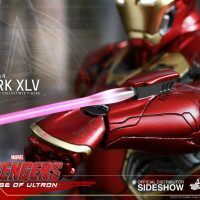 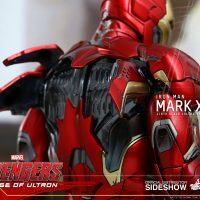 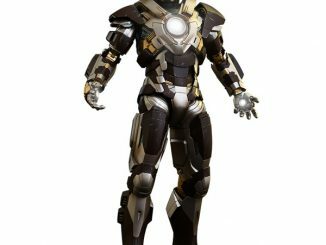 The Iron Man Mark XLV Sixth-Scale Figure will be available Jul 2016 – Sep 2016 but it can be pre-ordered now for $354.99 at Sideshow Collectibles.